NEW ARTICLE: TWO eCOMMUNITIES FOR YOUR OUTER/INNER BALANCE. When I moved back to Canada in the early 2000s, after close to a decade in San Francisco, I had decisions to make about my process practice and what I called it. 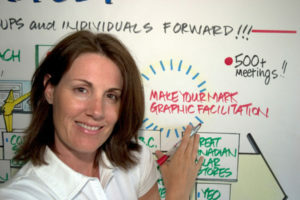 In San Francisco, when I went out on my own after The Grove Consultants, I branded under “Make Your Mark, LLC” as back then I was primarily a Graphic Recorder. However in Canada, new things emerged, including my SHIFT-IT System and increased responsibilities to design and lead process as a Facilitator and Coach … who happens to use visuals in her toolkit because they are so effective. So, after continuing with the Make Your Mark brand for a while, I eventually switched to a larger umbrella brand that could hold other things under it: SHIFT-IT Coach, Inc.
That newer brand was ambitious and at first, I wasn’t sure I had done the right thing. However, over time I have come to appreciate the non-local intelligence of my Right-Brain, as it knew what was correct, long before my Left-Brain did. My Right-Brain (subconscious) knew that the bigger theme of my life’s work is ultimately about helping our planet shift, long before ‘shift’ became a new age buzz word. It knew that my role (along with many, many others, including most if not all of you readers) is to help shift groups and individuals during this remarkable time in history. Through my own work as a facilitator, coach and energy worker. 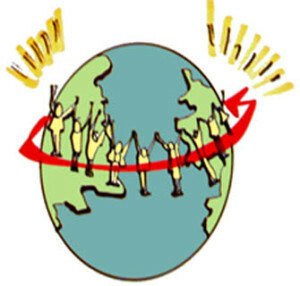 And through the work of the global network of people (you!) that I am fortunate to touch and impact. You (over 5000 of you) are spread far and wide across the globe and are embedded in all sorts of pivotal companies, organizations, agencies and alike. You work in many different kinds of industries. In various regions and languages. And do various kinds of process-related roles. The Outer Work and Inner Work skills that I share, have WIDE RANGING influence. Together we literal SHIFT the world … which is no small thing. Process work is sacred work, at the big picture level. 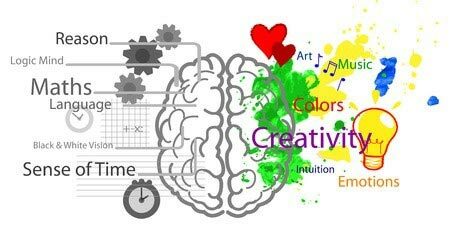 My Left-Brain Journey and Right-Brain Journey have been disjointed in the past, tending to favor one over the other, at different times. However, they have now integrated into a wonderfully dignified balance. I have my kundalini process to thank for a lot of this hard-won balance. Its energy heightened in 2009 and again in 2012 and has been rapidly churning through me ever since. It has in essence brought both sides of me strongly to the table: left/right, male/female, masculine/feminine, logical/emotional, linear/creative, etc. My role is that of a ‘bridge’. That strong balance and bridge is manifesting into new structures in my SHIFT-IT School to help others balance and bridge too. My courses all fall into this left-right brain continuum and I am now offering TWO eCommunities to my course grads (and those who want to hang with my grads) to help you succeed with your professional and personal aspirations. As a teacher and as a coach, I want you to succeed in the APPLICATION, INTEGRATION and LIVING of the various Outer and Inner skills that I teach. I care about you, but also selfishly care about our world too. If I can get you more aligned with who you truly are, you will be faster and more successful in playing out your piece of the overall change process that our world is going through. Rather than wasting valuable time on inertia, procrastination, doubt, low self-esteem, comparison-itis, fear and other forms of resistance that keep you from getting out there and doing your thing! The Working Visually eCommunity supports you to further hone your outer work in Visual Skills and Business Building. As becoming a decent Visual Practitioner is all about practice, practice, practice and mileage, mileage, mileage. And getting suave about marketing, sales and the business side. 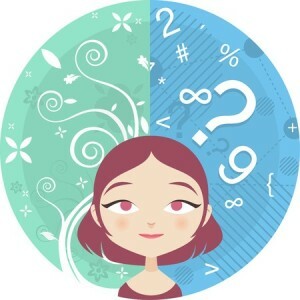 This eCommunity is a free perk for those who have taken my more Left-Brain programs: Fundamentals of Working Visually, Magic Marker Retreats, Visual Coach Certification and/or Business Essentials for Process Professionals. To keep going in community with like-minded people from across the globe. It includes Drop-in Monthly Webinars, Video Recording Library and 24/7 Forum. 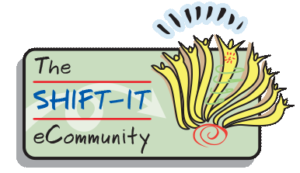 The SHIFT-IT eCommunity supports you to further your Inner Work in personal visioning, planning and energy alignment. I can teach you Outer Work skills until the cows come home, but if you have an internal conflict that interferes, you will never get movement. For some, Outer Work learning must be complimented with Inner Work resolution. This eCommunity a free perk for those who have done my more Right-Brain courses: SHIFT-IT, Practical Energy Work 1 or Practical Energy Work 2 (or my Thrive and THEO Accelerator co-programs back in the day). To keep going in community with like-minded people from across the globe. It includes Drop-in Monthly Webinars, Video Recording Library and 24/7 Forum.